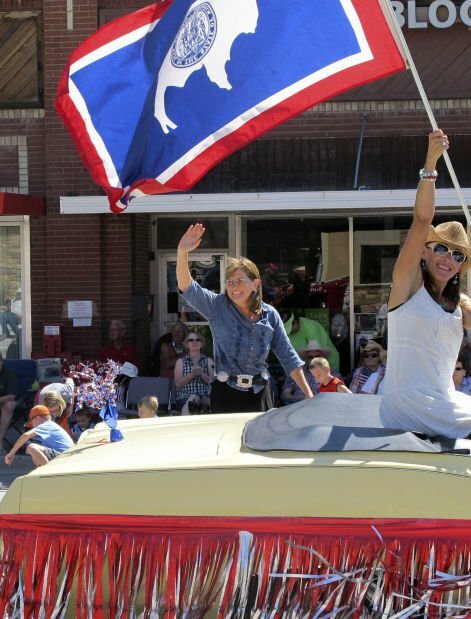 Cindy Hill waves to the crowd during a parade July 31 in Torrington. Hilll, the state superintendent of public instruction, is seeking the Republican Party nomination for governor in Tuesday's primary election. 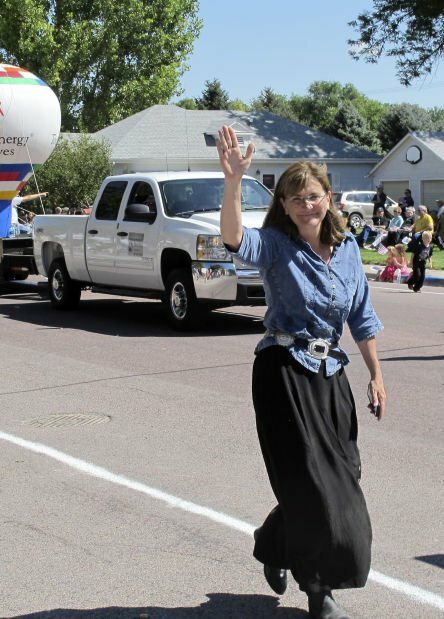 Wyoming Republicans face dueling versions of the same story as they consider Cindy Hill's candidacy for governor in this month's primary. Hill, the state superintendent of public instruction, says high-ranking state officials, including primary opponent Gov. Matt Mead, drove her out of the Wyoming Department of Education last year because they saw her as a powerful political adversary. Her critics, on the other hand, say Hill ignored personnel laws as head of the Education Department. They say she ran the agency as a fiefdom where blind loyalty to her was the only coin of the realm. A legislative committee issued a scathing report in July concluding that Hill willfully violated state personnel laws and spent money on unauthorized teacher training programs. "She replaced those long-term employees with persons who were loyal to her, but had little or no experience managing an entire state agency," the report states. "She refused to ask for legislative appropriations for her programs. She refused to perform her duties with fidelity." The report ended with a formal rebuke of Hill. Former Wyoming Attorney General Bruce Salzburg, now in private practice, was among those who assisted the investigation. Hill is having none of it. "I've followed every law," Hill, 51, said last month. "I followed every policy, and I've not misused any funding." Hill responded with an ethics complaint accusing those committee members who are lawyers of violating professional standards. Hill also has alleged that Mead staffers are engaged in a smear campaign against her. Mead's office has dismissed the claim as ridiculous. Lawmakers last year passed a bill that Mead signed removing Hill as head of the Education Department. The Wyoming Supreme Court overturned the law on constitutional grounds. Since then, Hill has campaigned as a champion of individual liberty against what she says is a government cabal of "good ol' boys" bent on eroding personal freedoms. "Your rights every day are being taken," Hill said in a recent interview. "And you don't even realize it because you're not in the meetings. Most of it happens behind closed doors." Rep. Gerald Gay, R-Casper, supports Hill and called for a state investigation of the governor's handling of the investigation into Hill. Attorney General Peter Michael, appointed by the governor, denied Gay's request and directed him instead to take his concerns to local law enforcement. "We've seen that Gov. Mead practically gives the finger to the Constitution," Gay said in an interview. He claimed that Mead tried to delay Hill's return to office after the court ruling, a charge Mead's administration denied. At the Wyoming Republican Convention in Evanston this summer, Mead narrowly avoided a sharply worded censure over his handling of the Hill affair. The resolution failed by a vote of 145-132. At a recent gubernatorial debate, Hill said people commonly ask her why she's running. "And I say, 'If you knew what I knew, you'd run too.'"